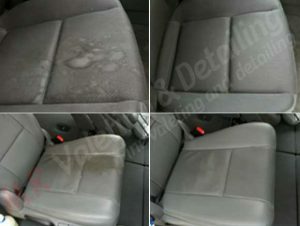 Interior car valet is designed to deep clean and protect interior of your vehicle. Interior valet involves a thorough vacuum, shampoo of seats & carpets; leather seats fully cleaned and carefully conditioned. All interior plastic, chrome & wood are cleaned and dressed. Door and boot shuts cleaned and dressed. Please note: Interior mobile car valeting prices are based on cars in average condition and reflect the time taken. Valeting heavily soiled vehicles, removals of pets’ hair, vomit removal, paint spots, flooding etc may take longer, and as a result may incur further costs. We reserve the right to amend all valeting prices on inspection.